Discussion in 'Trail Cameras' started by BigMike, Jan 20, 2019. I get a number of bobcat pictures every year but this is by far the coolest one to date. Triple C, T-Max, dogghr and 4 others like this. Very cool. I get a couple night pictures of bobcats each year. Doing a big radio tracking colour study here by WVU started this past fall. Just in time as there is a drive from the crazies to prevent trapping or shooting of bobcats. So far, its shown the population level is more than adequate. Doubt the courts will pay much attention tho. I had a large bobcat trot by 10 ft from the tree I was in one morning with a fox squirrel in his mouth. The only picture is in my head but it's a good one! He looked so proud almost prancing by. I've never had a thought to shoot one. 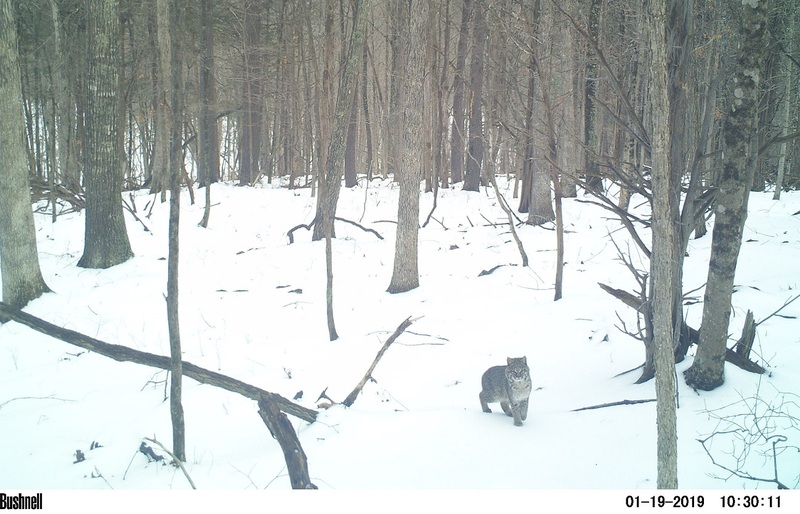 Bobcat are #3 in fawn predation. Behind #1 bear then coyote, depending on study you read.